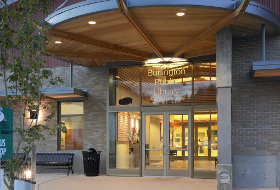 The Burlington Public Library is committed to providing access to materials and services that meet the recreational, educational, informational, and cultural needs of all members of our community. 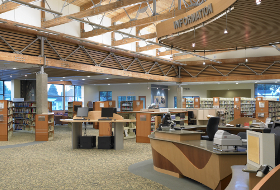 The library makes information available in many different formats. The delivery of information and ideas embraces electronic technology, which incorporates speed of delivery and the timeliness of information. Electronic technology enlarges and enhances the library collection of materials by allowing our clientele access to worldwide information and ideas. 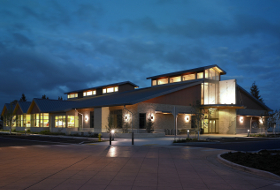 A Burlington Public Library or temporary pass is required to use an Internet workstation. The card must have no blocks or fees over $25.00. Internet users may be required to present photo ID to use the library provided internet. Prospective users must accept an Internet Use Agreement. A parent or guardian must sign an Internet Use Agreement permitting their child access to the Internet if their child is under the age of 13. The library affirms the right and responsibility of parents and legal guardians to determine and monitor their own children’s use of library materials and resources. Library staff are not able to supervise, limit, censor, or regulate children’s use of the Internet beyond the scope of library rules listed in the Internet Use Agreement. If there are areas of materials parents do not wish their children to access, they must outline those areas and hold him/her responsible for upholding those standards. Parents may block all Internet access for children under age 18 by contacting library staff in person, in writing, by email, or by telephone and requesting an Internet block be placed on the minor’s library card. The Internet is a global electronic network of ideas, images, and commentary that may enhance resources already available in the library. However, the library cannot control the information available on the Internet and is not responsible for its content. Some sources provide information that is inaccurate, incomplete or dated; some sources may be offensive, disturbing, and/or illegal. The Internet Workstations are monitored by staff for assistance and security. The library cannot guarantee privacy for individuals using electronic or other library resources, as inadvertent viewing of library materials can occur in a public facility and because the Internet and World Wide Web are not secure. In order to assure fair and equal access to limited library computers, the library may invoke time limits. 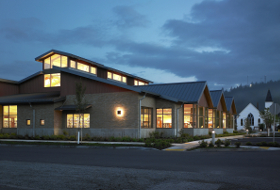 The Library is not responsible for damage to user’s disk, computer equipment, or removable media, or for loss of data, damage, or liability that may occur from a client’s use of the Library computer or library provided WiFi. Library staff cannot provide in-depth training on the computers. They will give assistance as other duties will allow. Any failure to use the Internet Service responsibly will result in revocation of Internet privileges and will result in charges for any damages done to equipment or software. All users are responsible for respecting all international, national, state and local copyright laws and honoring software-licensing agreements. City IT staff may, at their discretion, terminate any user’s internet and/or network access without notice. City IT staff may access any Internet Workstation and the contents therein at any time.